/ Attractions / Stay in a Haunted Hotel, for the Fright of It. When it comes to paranormal activity, people either love it, hate it, or don’t believe in it. If you’re in the “love it” column, then a haunted hotel stay may be up your cold, dark, terrifying alley. With all the new paranormal content that the media keeps producing (Ghost Hunters, the Paranormal Activity series etc.) more and more thrill seekers have been trying to obtain that rush that comes with getting the pants scared off of them. This has led to more tourist attractions happily advertise the existence of ghosts and real life hauntings that have happened and continue to happen throughout the premises. A favorite among amateur paranormal investigators are the haunted hotels that are scattered around the world. That’s right, not only do hotels publicize that they are haunted, but it also gives them more business. The Langham Hotel. Photo via wikipedia. The Langham Hotel in London opened as the first “purpose built luxury hotel” in the city and has been operating since 1865. The hotel often accommodates royalty and celebrities, but has a history of guests spotting ghosts around the premises. According to Lara Grant of Oyster.com, Langham Hotel patrons have reported sightings of a German prince, a German solider and a doctor who, while on his honeymoon, killed his wife and then took his own life. Emperor Napoleon III lived in Langham while he was in his last days in exile. It has been rumored that he occupies the basement of The Langham Hotel. Room 333 is believed to be the most haunted room in the hotel and is available for anyone who thinks they can handle it. Multiple supernatural occurrences have happened in Room 333, such as guests getting their bed tipped over by ghosts. Guests have even claimed seeing a man with a massive wound on his face that wanders the hallways. In the heart of downtown Boston, sits the Omni Parker House. 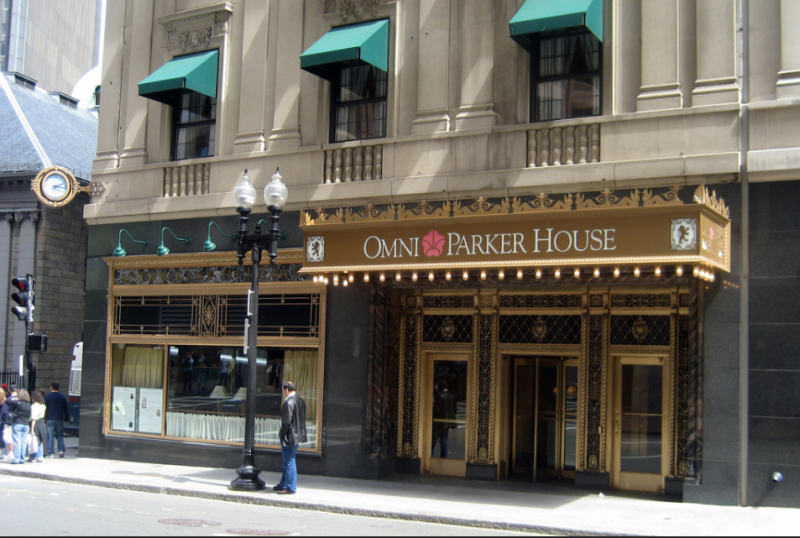 The Omni Parker House was founded by Harvey Parker and was opened in 1855. Parker ran the hotel until 1884, when he died at age 80. Numerous hotel guests have claimed to see Mr. Parker in their hotel room and that he inquires about their hotel stay. Stephen King’s short story 1408 was based off of a businessman that died in room 303 at The Omni Parker House, where there were reports of laughter and a strong aroma of whiskey. Emily Morgan Hotel. Photo via wikimedia, David R. Tribble. The Emily Morgan Hotel is just a shot walk from The Alamo in San Antonio, TX and is famous for its history with paranormal activity. According to Lara Grant of Oyster.com, the hotel was once a medical clinic, equipped with a morgue and psychiatric ward. There have been multiple reports by visitors regarding unexplained noises, supernatural appearances and having the feeling of being touched, when no one is around. According to Lara Grant of Oyster.com, the best floors to stay on with a higher likelihood of a paranormal experience are the seventh, ninth, eleventh or twelfth floors. There is also a restaurant and bar in the hotel that holds a Psychic Happy Hour and palm readings on Thursday nights. 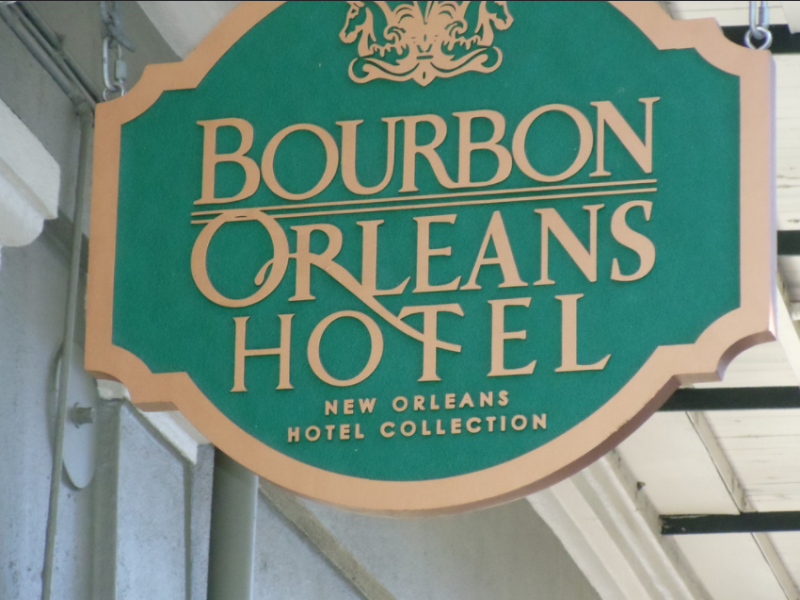 Bourbon Orleans Hotel is located right off of Bourbon Street in New Orleans, LA. According to USA Today, the hotel opened in 1827 as a ballroom for glamorous parties. By the late 1800’s, the hotel was not used for high profile parties, but served as a school, orphanage, medical ward and convent, because of all the children that were catching yellow fever. It is believed that as the children and nuns passed away, their spirits stayed in the hotel. Today, hotel guests still claim to see and hear the spirits around the hotel. The Bourbon Orleans Hotel has since become a known as the second most haunted hotel in the world. Visitors that take the “Ghosts and Spirits Walking Tour” in New Orleans will be taken to The Bourbon Orleans Hotel as the last stop of the tour. The Stanley Hotel, located in Estes Park, Colorado, is just a 90-minute drive north of Denver. This hotel is famous for being the inspiration to Stephen King’s first hardback best-selling novel, The Shinning. The Stanley Hotel used to be known as a high-end luxury hotel, which was smack dab in the middle of Rocky Mountain National Park and is cited as the reason why water-works, a power plant, and other associations were erected in Estes Park. When the 1970s rolled around, the hotel was no longer seen as a grand hotel and the reputation that The Stanley Hotel once held, had disappeared. In 1973, Stephen King and his wife, Tabitha, checked into The Stanley Hotel and spent the night in room 217. They were the only guests in the hotel that evening, as it was about to shut down for the season. As the night progressed, Stephen King didn’t feel alone in the hotel and felt another presence in his hotel room. It is believed that F.O. and Flora Stanley, the original owners of the hotel, never left the hotel after they passed away. According to Lara Grant of Oyster.com, hotel employees and guests have reported strange occurrences, like hearing Ms. Stanley playing the hotel piano or actually seeing F.O. and Flora Stanley in the Billiards Room. According to Roadtrippers.com, every guest that has stayed in room 217 has experienced something unusual and paranormal, such as clothes being unpacked while the guests are out of the room or the sound of children giggling and dunning through the hallways. While Dumb and Dumber was being filmed at The Stanley Hotel, Jim Carrey requested to stay in room 217, but checked out after only 3 hours and had to change hotels. According to Shortlist.com, Mr. Carrey never explained what happened during his time in room 217 and refuses to talk about the events. Maybe you don’t believe in ghosts and supernatural happenings. You might be the perfect candidate to try out these hotels. There is no such thing as a haunted hotel, right?